When Cristiano Ronaldo left for Juventus, it was widely circulated that he left because Real Madrid President, Florentino Perez refused to raise Ronaldo's wages to match that of Lionel Messi and Neymar. 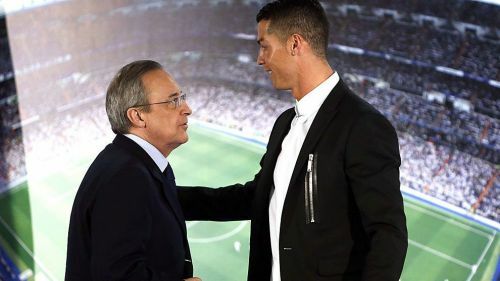 The recurring clashes between Ronaldo and Perez may have culminated last year, but according to former club President, Ramon Calderon, there was a bit of tension even before Ronaldo had even joined the club. Cristiano Ronaldo is a legend at Real Madrid as he elevated the club back to its true giant status at the top of world football. Despite only playing there for 9 years, Ronaldo scored an unbelievable 450 goals in just 438 games. Ronaldo's status at the club is so huge that he will be forever associated with the Los Blancos in the same way that Raul, Zidane, and Di Stefano are. Nevertheless, Ronaldo's time in Madrid, despite the huge amount of success, wasn't always smooth sailing. Whether it was due to his displeasure of the Spanish Media, or the fan's treatments of the players, there have been occasions where Ronaldo wasn't always happy at Real Madrid. 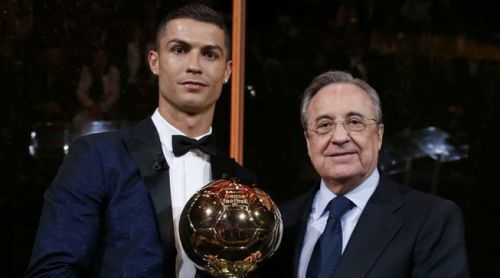 This was also the case with the controversial President of Real Madrid, Florentino Perez, who is seen by many as the reason why Ronaldo ultimately left the club in 2018. A current which ran through their relationship was the feeling that Perez didn't respect Ronaldo enough, despite all he had done for the club. Calderon then claimed that Ronaldo had learned about this and even said he was giving up the £30m (a fee that had to be paid). Calderon further added, “He did not understand how Florentino was doubtful about him and there started a disagreement that lasted nine years." Despite winning so much for the club, Ronaldo often felt under-appreciated. These recent comments made by Ramon Calderon, shed a lot of light on the fiery relationship between Ronaldo and Perez, showing that the duo had gotten off on the wrong foot right from the start. This incident set the seed for almost a decade of disagreement which ultimately concluded with Ronaldo's departure to Juventus.